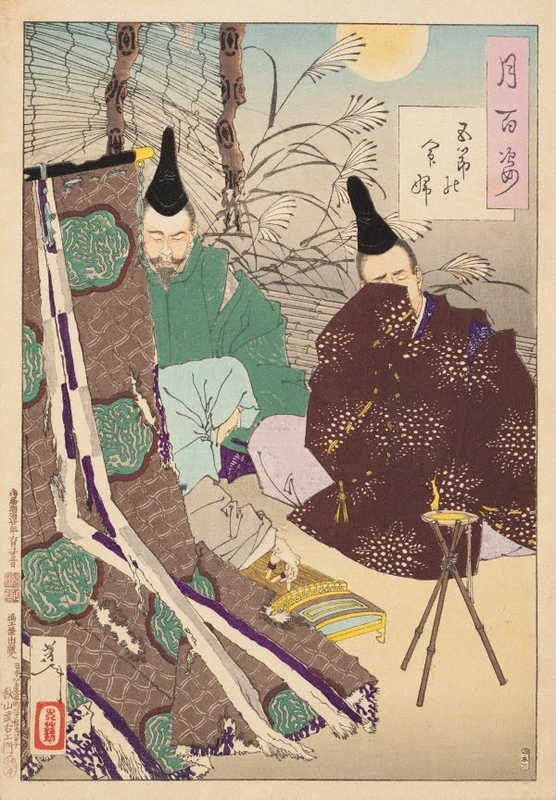 Two noblemen in Heian court costumes are listening to the haunting sound of the 'koto' (zither), played by a nun. The music but also the desolate state of the lady’s dwelling moved them to tears. 'Gosechi' literally means the five annual festivals celebrated at the imperial palace, but was also used to indicate the five beats in music. The lady’s name therefore alludes to the music and ritual of a glorious bygone age, when she was a young and beautiful court lady.